On 5 May, 2017, at the NGO forum preceding the 60th session of the African Commission on Human and Peoples’ Rights, DefendDefenders (East and Horn of Africa Human Rights Defenders Project) launched “Stand Up!”, a new organisational and personal security manual to help human rights defenders (HRDs) do their work in a safe and effective manner. 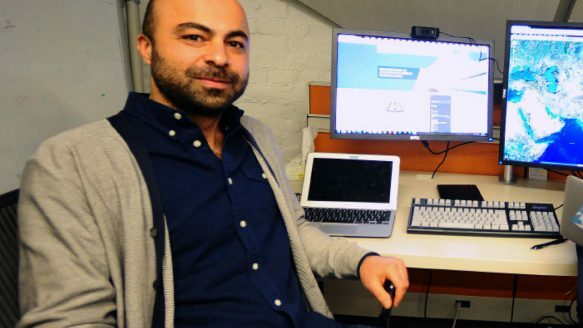 “DefendDefenders was founded to protect HRDs from immediate risks. However, a decade of experience has taught us that much can be done to prevent them from reaching this critical point,” said Hassan Shire, Executive Director. “By carefully considering their safety, developing strong security plans, and rigidly adhering to them, even HRDs working in extreme conditions can mitigate the risk they face as individuals and organisations.” “Stand Up!” helps defenders to reduce the risks inherent in achieving their goals. They can use it to better understand the opposing and supporting factors in their environment, identify their vulnerabilities, and create new capacities to stand up to adversity. Book One covers personal, physical, and organisational security planning. HRDs can learn the essential framework for security analysis and planning as well as the support mechanisms available at the regional and international level for human rights defenders. Book Two covers digital security for electronic devices, and online accounts and communications. It extends the lessons of security management into the digital realm with risk assessment of electronic workspaces and the essential steps to secure human rights work when it is conducted from phones, computers, email, websites, social media accounts and more. At the same time, the Pan-African Human Rights Defenders Network (PAHRDN) also launched its annual “State of African HRDs” report, which examines the major events affecting the freedoms of association, assembly, and expression in the last year. The report is compiled with input from PAHRDN’s five sub-regional networks and is available in English and French. 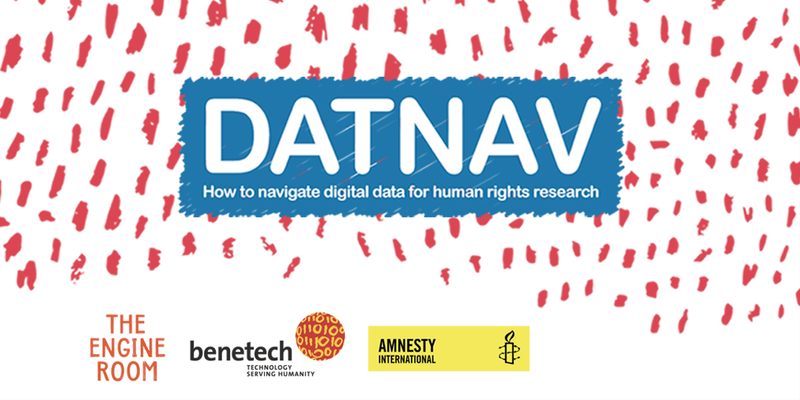 DatNav, a guide designed to help human rights defenders navigate and integrate digital data into your human rights research, was launched today. DatNav is the result of a collaboration between Amnesty International, Benetech, and The Engine Room which began in late 2015 culminating in an intense four-day writing sprint facilitated by Chris Michael and Collaborations for Change in May 2016. Based on interviews, community consultations, and surveys the researchers found that in the vast majority of cases, human rights defenders were not using the tools. Why? Mainly, human rights researchers appeared to be overwhelmed by the possibilities. Still, integrating and using digital data in a responsible way can make a huge and important difference to human rights research. Acquiring, disseminating and storing digital data is also more in reach. DatNav is about navigating these new possibilities. In May 2016, the 3 NGOs gathered a group of experts to create a guide to help address this problem, and created the foundations of DatNav. Nearly 70 key members of the human rights tech and data community, representing nearly 40 different organisations from around the world, played key roles in the creation of DatNav. This is just the beginning. If you’re interested in taking the guide forward, whether to inform strategy in your work, to train others, or through translations, or adaptations of the content, the organizers would like to hear from you. The content is all CC-BY-SA licensed and remixes of the content are more than welcome. We’re in initial talks to release an Arabic translation of DatNav, and we’d like to carry out others, too. You can sign up for The Engine Room’s newsletter to be notified of new updates and releases. To find out more about the project or give feedback, you can send an email. You can also reach out on Twitter @zararah and The Engine Room @EngnRoom. Lock your computer with a strong and unique password. All passwords should be strong and unique, but perhaps even most importantly for your computer itself. Simple passwords are more easily hacked by ‘brute force’ (guessing until success), seen by someone glancing as you type, or determined from camera footage (that’s why Snowden typed his passwords under a blanket in Citzenfour). There are some good tips for better passwords. Safeguard all passwords. Do not keep your passwords written on paper near your computer. A multitude of secure passwords will be impossible to keep in mind, so we recommend using a password manager like KeePassX instead; KeePassX also rates the strength of your passwords. Consistently lock your screen when you step away. Theft can happen very quickly and obviously, unexpectedly. Encrypt your hard drive. If it’s encrypted, no one else can read it. Check your settings in Filevault on Mac and Bitlocker or Veracrypt on Windows. Regularly back up your encrypted hard drive to another location. If your computer is stolen, you’ll still have all of your information. If you use a password manager like KeePassX, your backup will include a locked file containing all of your passwords. To further protect yourself against privacy breaches and malicious threats, we also recommend to: Scan your hard drive for viruses at least once a week with updated antivirus software like Sophos or Avast. Update your computer’s operating system and all critical software as soon as updates become available. These updates are often to better protect you from breaches. Set up two-factor authentication and two-step verification on all critical accounts like email, social networks, Apple ID, and shared workspaces. Change your passwords often. HURIDOCS conclusion: If you’ve taken the above steps and your computer is stolen, you won’t need to worry about your data being stolen along with it. We strongly recommend all human rights defenders take these precautions. On 7 October 2013, a new course on “Security and protection management for HRD and social organisations” begins on the e-learning platform of Protection International (http://www.e-learning.protectioninternational.org/course/info.php?id=21).